This is one of my favorite Saturdays because at Hiding In My Craft Room, we bring to you our Super Scraps Saturday. 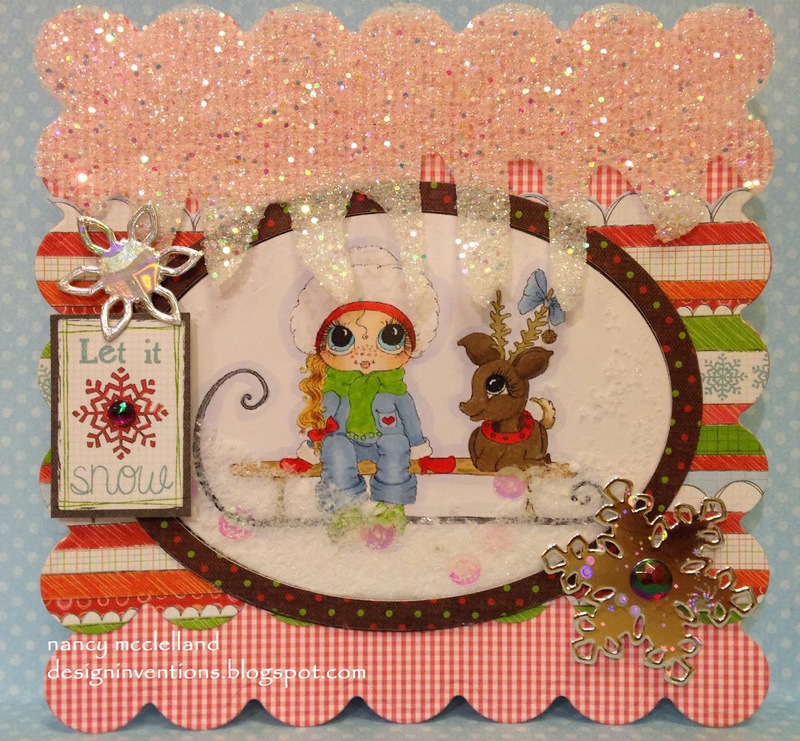 I love using scraps to make a card, it's very rewarding and also helps use up some of your supplies. I was fortunate this week that I had some major crafting going on and I had a very messy, stacked desk. As I started to clean and dig, I came up with the supplies for my DT challenge card. When I started cleaning up my table I found all the snowflakes that I had punched for a project and didn't use. Then I have this thin packing foam that I used for the snow, I did have to add the glitter. There was some acetate and sequins laying there, so I decided on a small shaker card. The desk is now more a mess. Got to clean now. I love, love, love this card! I saw you over at Super Scraps Saturday and had to come over and see what you had used for snow! So pretty! Do you mind if I steal your idea? Thanks for your comments. Have a great time using the packing foam!